If you have been paying attention, you may have noticed lots of ads for grain free dog food. Why is this the latest trend? 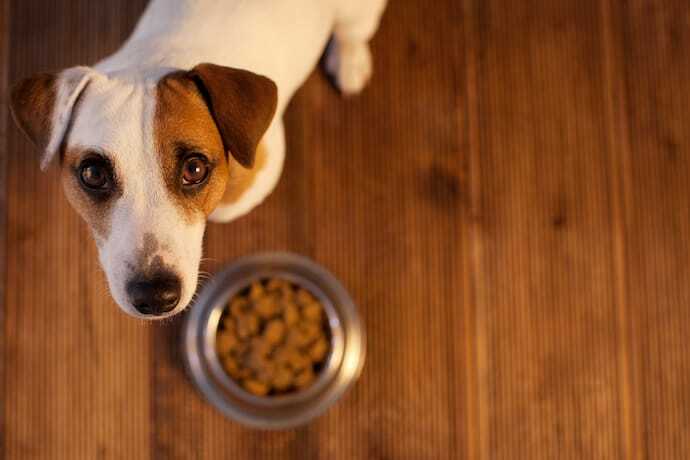 Is grain free dog food better for the health of your pup? We did some research to find out why grain free dog food may be the wiser choice. Why Consider Grain Free Dog Food? Grain free dog food is self-explanatory. It is canned or dried dog food that is generally high in protein and comes without the addition of grains. However, what many people do not know is that corn is also a grain. Conventional dog foods often use corn, wheat, and barley as additives to their foods. This cheapens the cost of making dog food products. 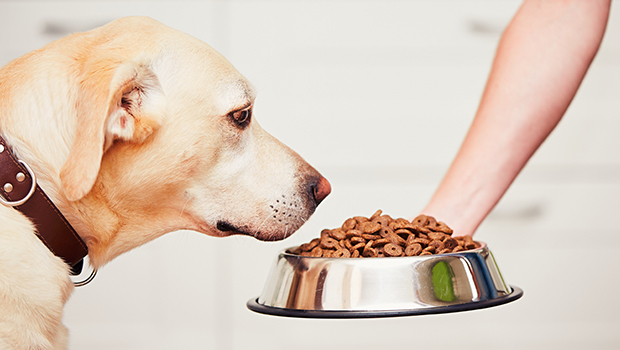 A grain free dog food may cost more but the benefits of switching may be worth it. While most grains are harmless, a select number of dogs are becoming sensitive to the ingredients. Dogs sometimes develop allergies or sensitivities to ingredients in their food. Your pet might show symptoms of an allergy or sensitivity if they are experiencing gastrointestinal issues such as diarrhea or vomiting. Itchy and flaky skin is also a sign that your pet may have a reaction to the grains in their food. If your dog is scratching a lot and nothing seems to help, a grain free dog food may be the perfect solution. If you are seeing bumps on the ears that look like hives, this can be another sign of an allergy and a switch of foods can help. Often, your dog's skin will become red and irritated if there is an allergy. These are all conditions you should take seriously. However, before you panic, you might first try grain free dog foods. Both wet and dry dog foods may contain grains such as corn, wheat, and barley so be sure to check your ingredients carefully. Healthy dogs can also go grain-free. They won't be missing out on any vital nutrients; remember, dogs in the past never ate grains. They aren't necessary or essential, so your dog will be fine if he or she discontinues consuming them. Many grain free dog foods contain more protein and animal fats making them enjoyable and easier to digest. Dogs are canines and love the taste and heartiness of meats. A grain free dog food will have a higher content of beef, chicken or fish, instead of unnecessary grain fillers. Healthy carbohydrates in many dog foods will keep them energetic and well nourished. Dog food brands use canine-friendly veggies and starches in their recipes that will keep your pet satisfied. Look for ingredients like white or sweet potatoes, green peas, carrots, and chickpeas. Pet owners today are looking more closely at ingredients and with the highly controversial subject of corn being GMO, many people are looking to avoid corn. Studies show that GMOs may be responsible for serious health issues. Corn is one of the most common GMO ingredients used today and it is present in many of the pet foods found on the shelves. Choosing grain free dog food will cut back on the amount of GMOs your dog eats. If GMOs are a concern for you, then you should know soy is another GMO used as fillers in many dog foods. Soy is a bean but can be hard to digest. Most grain free dog food won't put soy in their recipes. We previously discussed dry flaky skin as being an allergic reaction but dogs can show symptoms of respiratory issues too. Your dog may sneeze or get short winded easily. Some dogs are even known to cough. A pet owner, like any good parent, can become overly concerned about these symptoms. The first thought may be a lung infection which can be serious. If this is the case, you need to discuss the symptoms your dog experiences with your veterinarian. You want to eliminate any possibility of a respiratory disease. If your pet comes back with a clean bill of health, talk to the vet about starting a grain free dog food diet. You may not see immediate results when switching but, in time, the symptoms should diminish. It may sound odd that a grain free diet would help with ear infections but veterinarians are seeing much improvement with the dogs that are switched to a grain free diet. Often, an antibiotic is prescribed to conquer infections and they may be necessary in some cases. However, overuse of antibiotics can lead to an imbalance in gut bacteria. When this occurs, your dog may show signs of a yeast overgrowth which occurs if the bad bacteria in the gut becomes dominant. Ear infections, unfortunately, are often an aftermath of an abundance of antibiotic use. Just like humans, dogs can become resistant to a particular antibiotic and often a stronger one is needed, which creates an endless cycle. Switching to a grain free dog food will help reduce yeast overgrowth. Adding more meat can add higher amounts of what we call good bacteria. Corn, wheat and other grains are not easily digested by your pet. Because of this, many dogs will produce large amounts of gas. This is not only foul smelling but often means your dog is suffering from cramping and bloating. Although this may not be extremely serious, it may be a sign your dog's gut is imbalanced. Remember we mentioned that the bacteria in the intestinal system may be unfriendly bacteria or your dog may have an issue with yeast overgrowth? Many grain free dog foods will contain a probiotic that will assist in any stomach aches or smelly gas. Grain free dog food does not have as much fiber as the others that contain corn and wheat. In addition, the potatoes and tapioca used to replace the carbohydrate content of grain-free foods work as thickening agents. This helps to slow down the passing of waste. After switching to a grain free dog food, many pet owners notice their dogs are producing fewer stools. This means your dog will go to the bathroom less frequently and the size of the stools will be smaller. The stools will also be more solid after switching to a grain free dog food. No more runny messes to clean up! Dog foods that have a higher meat content and are lower in carbs have more Omega-3 and Omega-6 fatty acids. Both of these fats are important to maintain healthy skin and a lustrous coat. A grain allergy can cause many dogs to suffer from dry, itchy, and irritated skin. If these symptoms are not addressed, the condition can get worse. Your dog may begin to lose hair and even develop an infection. However, many dogs enjoy improved skin health after switching to a grain-free recipe. Although some pet owners see an improvement in skin health after only a few days, a skin condition often gets better with time. Once the scratching subsides, the skin will begin to heal more quickly. A healthy coat is also a result of added Omegas. Fats are good and have tremendous benefits including a thick coat. The fur will appear shinier, it will be easier to manage, and you may even see less of it on the couch. Healthy fur will remain on your pet longer so don't be surprised if you find that you are sweeping up less fur from the carpets and upholstery. Another surprise may be that your dog is more alert. As we stated, the list of benefits when adding Omegas to a diet is a long one. A grain free diet will increase healthy fat, and since the brain is made mostly of fat, you might be able to teach your old dog a new trick or two. To sum up, any decision to change your pet's diet should be a well-informed one. Not every dog is the same or has the same needs. As we know, they come in many sizes and breeds. Younger dogs and older dogs require different diets. Some dogs are more sensitive to food and are more prone to allergies. Veterinarians have noticed many of the larger breeds react negatively to grains such as German Shepherds, Labradors, and Dalmatians. However, this does not mean your small dog won't be affected. You need to look at the overall health of your dog. Do they have ear infections often? Are they taking lots of antibiotics or have done so in the past? Does your dog go outside a lot which may expose it to fleas and ticks? Not all skin issues are from grains and it is important that you know whether your dog has any serious conditions that may lead to infections and/or skin problems. Digestive tracts vary in dogs, too. 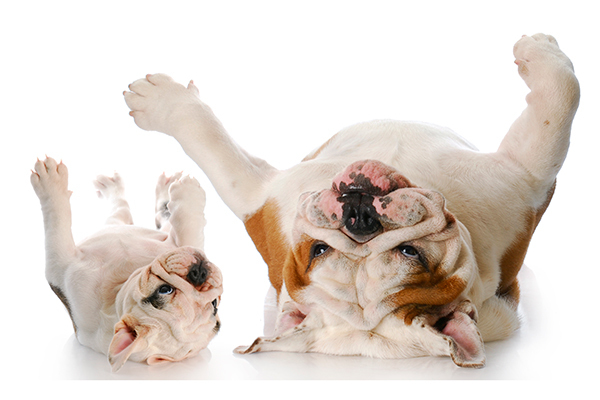 If your dog is having bowel issues or gas, you want to rule out other possible causes such as parasites or worms. A grain free diet has tremendous benefits but never forget the opinion and expertise of your vet. Conventional veterinarians may not approve of changing to a grain free diet but if it is something you really want to consider, you may seek out the advice of a more holistic doctor.